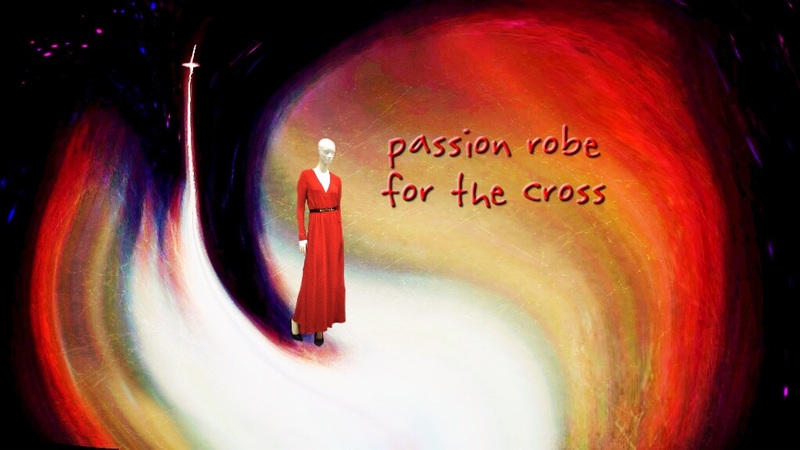 Modeling the universal “passion robe for the cross” is red representing how much CHRIST cared about humanity. It comes in male and female shapes and sizes, but so few people dare to wear it for fear of ridicule. It is the required outfit to enter heaven. Some try to wear the robe under other clothes, hiding it, as the Bible talks about hiding your light. Many people are hypocrites and think the robe too embarrassing; so wear more elegant clothes over the robe at Church. The red robe is simple and reveals that a person believes in God and his love and sacrifice for people and Creation. They choose their own brand of righteousness, instead of the passion robe for the Cross.